The Trump Administration is considering ending Temporary Protected Status (TPS) for tens of thousands of Haitians, Salvadorans and Hondurans. 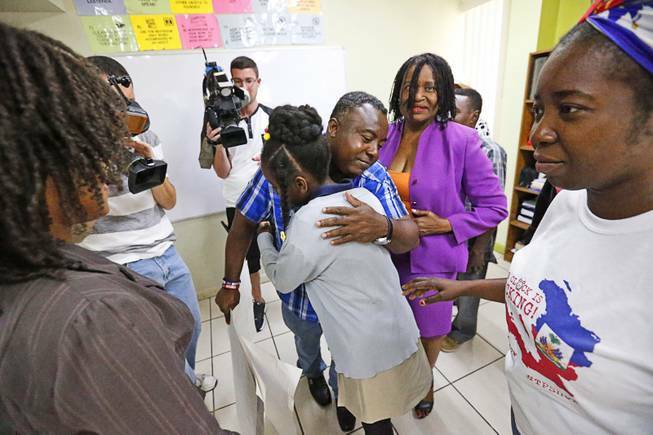 After years of being shielded from deportation from the United States while their disaster-prone country continues to recover from its devastating 2010 quake, tens of thousands of Haitians will now lose that safeguard. The protection will expire July 22, 2019, giving Haitians living in the USA under TPS an 18-month window to go back to their struggling homeland or legalize their status in the United States. While Haiti has made advances spurred by worldwide aid since the quake, the Caribbean nation remains one of the poorest in the world. It had been set to expire January 22. Under TPS, citizens of designated countries that have undergone a major natural or man-made disaster are allowed to remain in the United States legally until conditions in their home nations recover. Days after a 7.0-magnitude quake devastated Haiti in January 2010, President Barack Obama granted the 18-month protection status for Haitians in America who would otherwise have to go home. At the time, he extended Haitians' protected status for six months, but urged them to prepare to leave the U.S. They were generally paroled to live in the United States on humanitarian grounds. In an editorial titled "Let the Haitians Stay", the New York Times editors pleaded with DHS officials to keep the Temporary Protected Status (TPS) program for an estimated 86,000 Haitian nationals running. It would make immigrants under the program eligible to apply for legal permanent residency after three years.